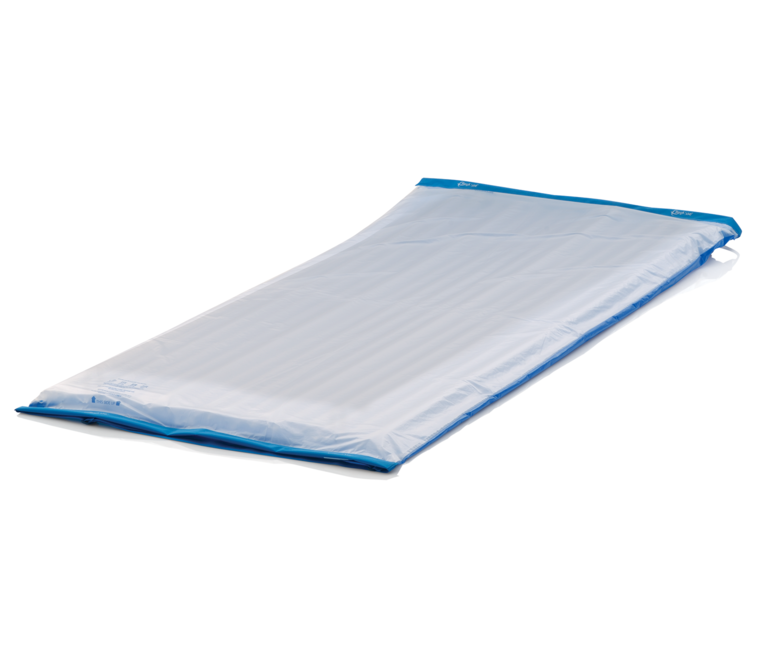 The Repose Mattress Overlay and Cushion has been designed for use on a standard single bed and static chair where it has been proven to be comfortable as well as providing effective pressure redistribution. Suitable for use in both acute and community settings. To learn more about Repose Mattress Overlay & Cushion please contact us using the button below. Max Patient Weight: Mattress overlay when used on a high specification foam mattress 222kg. Mattress overlay when used on a non-high specification foam mattress 139kg. Cushion 139kg. *Mattress overlay when used on a high specification foam mattress 222kg. Mattress overlay when used on a non-high specification foam mattress 139kg. Cushion 139kg. Repose can be used for patients up to 222kg*. There is no lower patient weight limit. Patients at the higher extremes of the weight range should be monitored regularly.